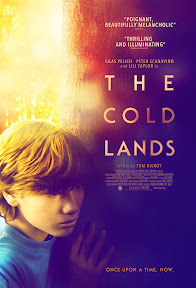 “What are you, Jack Kerouac?” a twenty-first century version of a Beat Generation Dharma Bum who lives off the grid and sells Native American style wrap jewelry asks the eleven-year-old protagonist (Silas Yelich) in writer/director Tom Gilroy’s The Cold Lands. And even without the reference to Kerouac or the fact that our young hero’s onscreen name is (the most likely To Kill a Mockingbird inspired noble handle) Atticus, Gilroy’s Ken Loachian like neorealist cinematic slice-of-life about a suddenly orphaned child left to fend for himself in the cold upstate New York wooded lands of the Catskills Mountains carries with it a distinctly literary air. 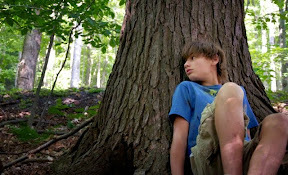 Part Huckleberry Finn and part Antoine Doinel, the young boy whose loving but sickly hardworking mother (tenderly played by Lili Taylor) passes away while the child is at a birthday party tries to honor all of the home-schooled teachings and values of his bohemian mother who’d told him it’s best to be self-sufficient. 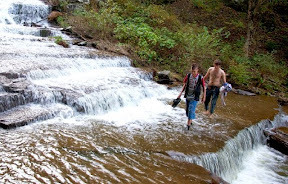 Avoiding the authorities on the hunt to turn the bright yet admittedly sheltered Atticus into a ward of the state, the child retreats into the woods as a lonesome traveler determined to stay off the societal grid, even if he must run away or venture on the road to keep free. 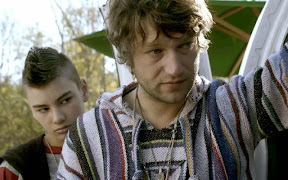 Meeting his own fellow lost man-child in the form of the hippie jewelry craftsman Cutter (a terrific Peter Scanavino) while trying to steer clear of tweakers and hunters, the elder mannish boy decides almost involuntarily to take Atticus under his unorthodox Boo Radley-like wing. Giving him a punk haircut to alter his appearance and avoid detection from locals who’ve dutifully plastered photos of the boy around the town, Cutter even goes so far as to purchase a secondhand pair of glasses that will help Atticus see his new surroundings a bit more clearly. Of course, that’s an obvious metaphor for the journey the two go on wherein Atticus’s eyes are opened to a whole new world. Yet to his credit, Gilroy admirably keeps the same low-key, fly-on-the-wall approach he used to open the film throughout – caring less about concrete plot twists, inciting incidents or script gimmicks than he does about letting the borderline father/son or choose-your-own family dynamic between the two play out naturally. Understanding the complexities of the burgeoning relationship, Gilroy keeps us on our toes by realistically illustrating the emotional rollercoaster the two embark on as well as their constantly evolving thought-process as they try to figure out what to do from a moral and practical standpoint. Another riveting yet subtle, understated exploration of an unlikely friendship among two characters that most likely would never have given each other more than a passing glance had extraordinary circumstances not caused them to cross paths, in The Cold Lands, Gilroy revisits the same terrain he navigated in his previous, masterful two-hander Spring Forward. 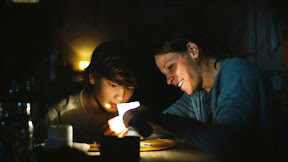 Although the stunning simplicity of the work that can be appreciated on a literary, literal or simply cinematic level doesn’t pack the same punch of his pitch-perfect Spring Forward, Lands serves up one of the strongest, emotionally surprising and downright affecting “a star is born” turns by a young performer since Jennifer Lawrence’s Oscar nominated breakthrough in Winter’s Bone. A natural progression of the themes touched on in his Spring Forward, you could almost view Lands as if it were a nontraditional sequel in the same vein of Sofia Coppola’s first three features. Less talkative and more contemplatively cinematic than Spring, Lands finds Gilroy expanding upon the same mentor/protégée, father/son (regardless of blood) dynamic he introduced in Spring while simultaneously spring-boarding off of traditional coming-of-age structural elements. And while opening the eyes of its audience by way of its remarkable young lead, Gilroy presents us with an unpretentious yet thought-provoking portrait of life being lived in our own wooded backyard we’ve never seen before in quite the same way. A highly recommend indie sleeper and compelling character study – much like a great novel, The Cold Lands will linger in the mind for days.